If you enjoy this free sample, you can purchase the full issue in PDF format (sorry the printed version for this issue has sold out) from our online shop. 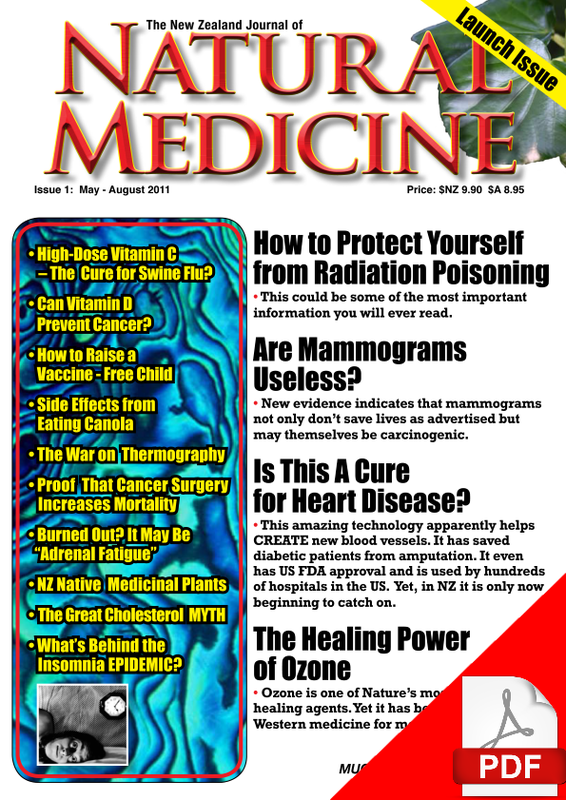 The lead story in the first issue of The New Zealand Journal of Natural Medicine is how to protect yourself from radiation poisoning. It also features articles on how a new technology known as “EECP” can help the body create new blood vessels and heal cardiovascular disease. Did you know that vitamin D can reduce the risk of developing cancer? This article has the facts. Did you also know that “Black Salve” can often successfully treat skin (and some other) cancers? The amazing healing powers of ozone have been known for more than 100 years, and yet few if anyone in this part of the world knows about them. Here’s your chance. 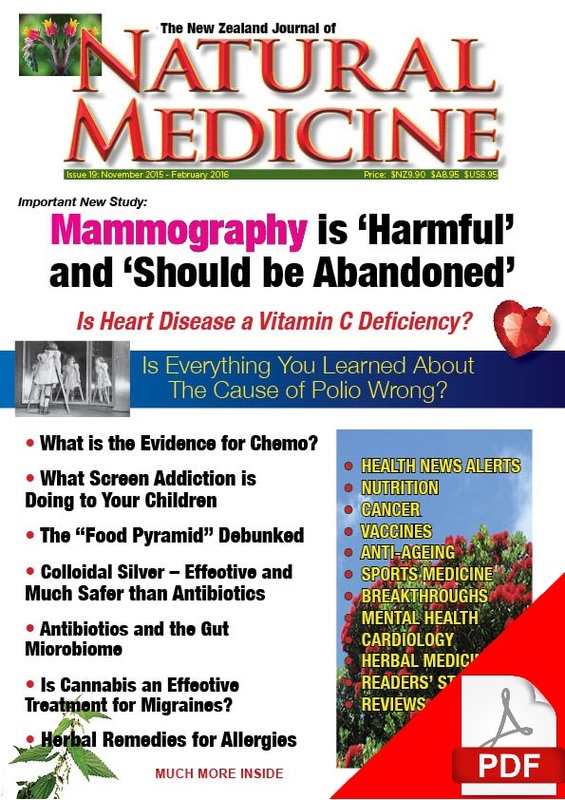 The first issue also features the story of Allan Smith, his near-death experience with swine flu – and his remarkable recovery after he was administered intravenous vitamin C.
Are mammograms “useless”? The new research indicates that there is little evidence for their efficacy in preventing deaths from breast cancer in most women who undergo regular mammographic screening. In addition, mamograms may themselves be carcinogenic. We bring you the unadulterated facts for you to make up your own mind. These are facts you will seldom if ever hear from the Ministry of Health … or your own doctor. Still believe that cholesterol is “bad”? This article will open your eyes. 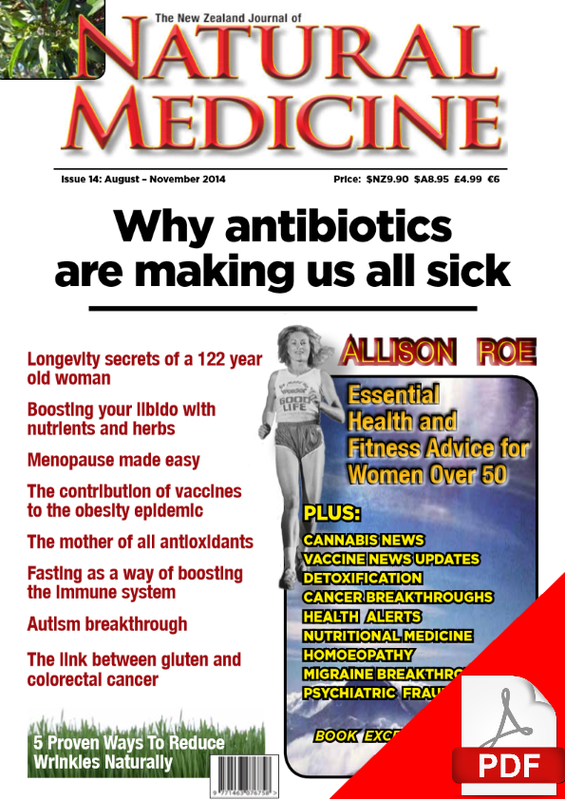 There is lots more in this amazing new magazine, including articles on Wendy Lydall’s book How to Raise a Vaccine Free Child, what’s behind the insomnia epidemic, the war on thermography … and much, much more. 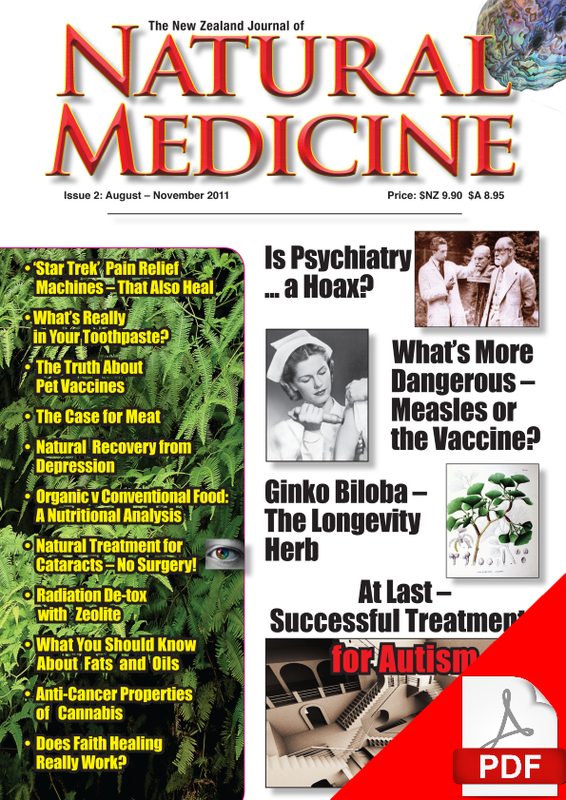 Read The NZ Journal of Natural Medicine as though your life depended on it.